Drama, centred around a beggar named Bholu who has a patch outside a temple and makes a living from alms given to him by devotees. A local thug named Parbat extorts money from Bholu and pressurises him to make more money, so Bholu pretends to be a leper. Then his little business is challenged when a young woman named Chamki turns up with her child and stations herself outside the temple and begins to beg. 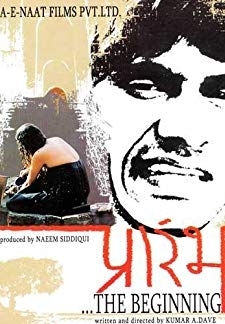 © 2018 Scratchu.com Prarambh - The Begining | Mukesh Bhatt, Shama Deshpande, Sanjay Gandhi, Vijay Gupta, Ravi Kale, Anoop Karan, Gauri Karnik, Vijay Raaz, Bhupesh Singh, Anil Yadav - Prarambh - The Begining (2004) | Hindi Movie | 7.3/10 | Synopsis : Drama, centred around a beggar named Bholu who has a patch outside a temple and makes a living from alms given to him by devotees. A local thug named Parbat extorts money from Bholu and pressurises him to make more money, so Bholu pretends to be a leper. 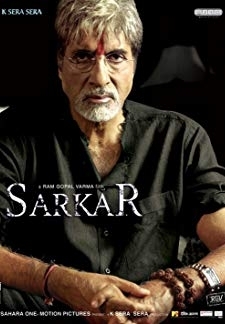 Then his little business is challenged when a young woman named Chamki turns up with her child and stations herself outside the temple and begins to beg.... Watch Online!! !